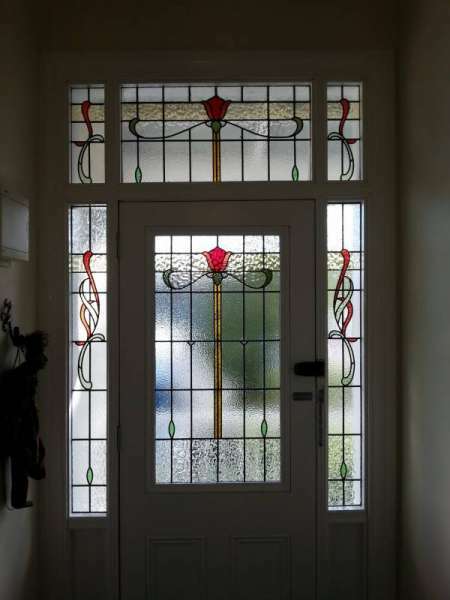 Our Client came to Glassarts Design wanting to update their Villa Entryway in Kingsland with bespoke stained glass windows. Mullions were removed from the existing two side panels to allow for longer stained glass windows. 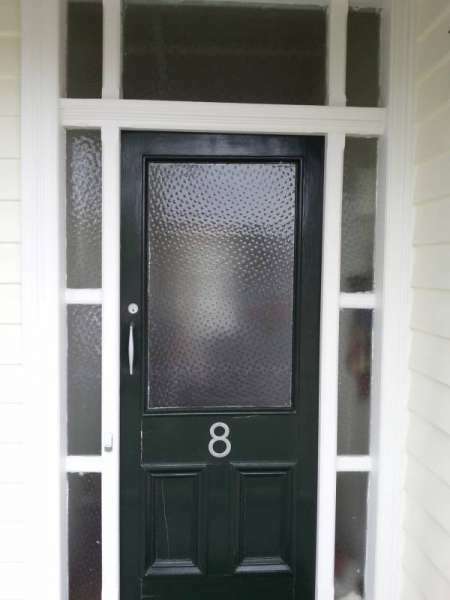 A blend of clear textured & coloured glass, resulted in a timeless addition to her home.